The Pritzlaff Difference - Quality Meats For Over Three Generations! Welcome to Pritzlaff Wholesale Meats where we have grown to be known as a premier distributor and manufacturer of quality meats. Over the past 70+ years, we have accrued an impressive group of customers who demand the finest cuts that are consistent and worry-free. A reputation for excellence is associated with the products we sell. As a third-generation, family-owned-and operated business, we strive daily to exceed your expectations in delivering exceptional products, continuously improving processes as well as the relationships we maintain with the finest manufacturers we partner with. Our suppliers encompass the most reputable names in the industry. The products we offer are carefully selected for quality, performance, and value. Ultimately, we feel that this will help improve your bottom line and enhance your product offering as well as foster a partnership with our family for years to come. We appreciate and thank you for taking the time to learn a little more about our family—Pritzlaff Wholesale Meats. 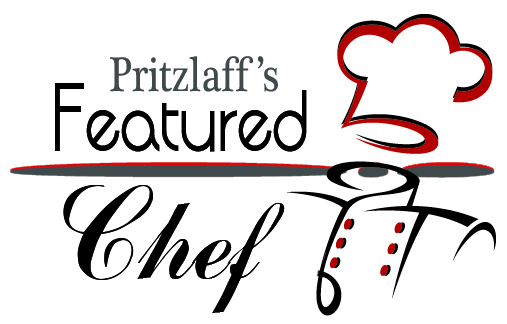 Restaurant - Food Supplier Pritzlaff' is one of the top leaders in distributing food products to Southeastern Wisconsin and Chicago area fine-dining restaurants. 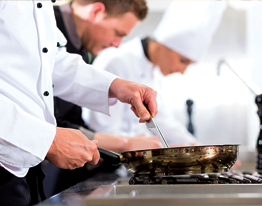 As a restaurant food supplier, our business is built by providing high quality products, offering great customer service and keeping our promises. We stand behind our "Pritzlaff Guarantee" so you can maintain your reputation in the cities that you serve. 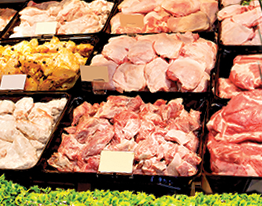 Retail / Grocery - Food Distributor Pritzlaff Wholesale Meats has moved beyond the supply of just meats to help provide retail and wholesale customer solutions and options unrivaled in value, quality and reliability. Call one of our sales representatives today for a complete list of products we provide. We welcome new business and work hard to customize each order to your specific needs. 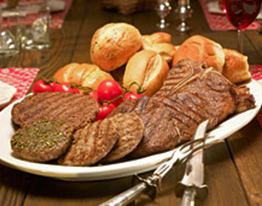 Hotel/Country Club Meat Purveyor Pritzlaff is dedicated to staying ahead of the industry trends and keeping our country club and hotel customers on the cutting edge of the specialty food industry. We achieve this by focusing on great customer service, while delivering quality products. 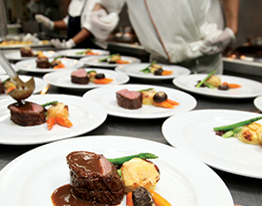 If you're looking to partner with a country club or hotel "Center of the Plate" specialist, we guarantee competitive prices and delivery in a timely fashion. Corporate & Holiday Gift Boxes Perfect for corporate clients, business colleagues, family, and friends our Pritzlaff’s signature Gift Selections are filled with a mixed variety of our fine meat selections and are sure to leave a lasting impression. Show your appreciation with a Pritzlaff’s signature gift box.